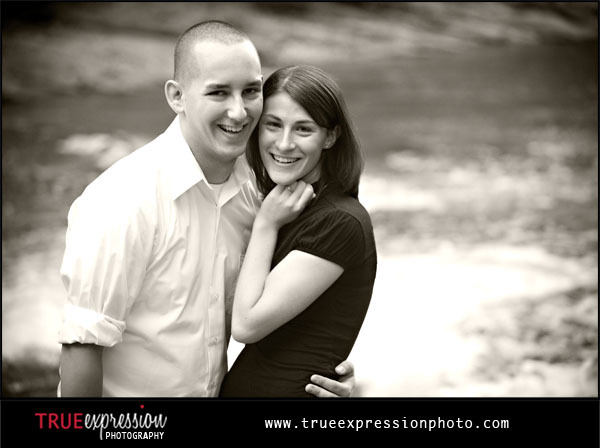 True Expression Photography Blog: Rebecca & Scott: Sneak Peek! I had a great time photographing Rebecca and Scott's engagement photos last night. They picked an awesome location for their session that involved taking a little hike to get to, but it was definitely worth a little extra walking! And to make it even better, they brought along their two adorable dogs, so they could be included in a few of the photos, too. Here is a little preview for Rebecca and Scott. More photos will be up in a few days! Great job Kelly! I love the location that they picked! of them. Thank you so much again!